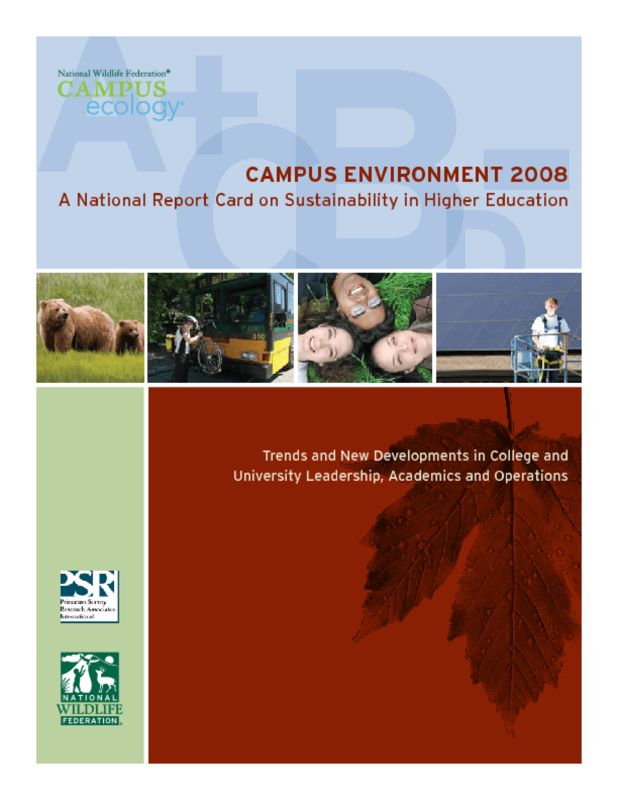 Presents survey findings on national and regional trends among colleges in environmental leadership in management, academic courses in sustainability, and conservation efforts in operations. Profiles exemplary programs and notes areas for improvement. Copyright 2008 National Wildlife Federation.